Exploringnature.org is a subscription website with more than 5,000 pages of content for life, physical, earth, and space science. 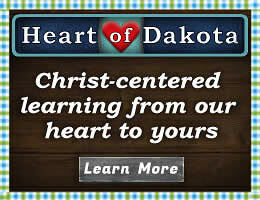 The site has resources for students in kindergarten through high school. but I think parents and teachers with students in the lower grades will get the most use out of this site. Each of these categories is huge with subcategories under most topics. The amount of material for each subtopic varies. While there are a few pages with just a few sentences such as that for Subrahmayan Chandrasekhar who received a Nobel Prize for his work regarding black holes and neutron stars, most pages have significant content. There might be a complete, printable lesson with a hands-on-activity and a quiz. Some pages have only a brief article with illustrations and maybe just one activity. One example of a fully-developed lesson is under the K-8 Earth Science and Physical Science category.This is a Circuits Unit under Physical Science. This lengthy lesson, written for a class group, includes goals, focus, questions, introductory discussion, an “Electricity Role Play,” illustrated lesson material explaining how electrical circuits work, and illustrated instructions for creating a simple circuit. The printable PDF for this lesson includes a data worksheet form, a vocabulary assessment quiz, a multiple-choice comprehension quiz, and answer keys. Also under the K-8 Earth Science and Physical Science category is a subcategory titled Environmental Issues that has many sub-subcategories including one on climate change. Climate change is explained with illustrations and an article with a few pages worth of text that seems targeted at students about sixth grade and above. Four short-essay questions assess student understanding. The entire article with illustrations, questions, and answer key can be printed out. I have to mention that I appreciate the cautious language of this article that is unlike the alarmist tone often used in children’s textbooks. The article uses words such as “if,” “could,” and “might” to accurately reflect the uncertainty of scientific knowledge in regard to climate change. Only the K-8 Earth Science and Physical Science category (of the five) is labeled as having resources for just grades K through 8. Other categories sometimes have material at two or more levels. For example, human anatomy resources include some for the elementary grades and some labeled advanced that are appropriate for high school or introductory college-level courses. Advanced material sometimes has only labeled illustrations both in color and black-and-white. Students can color in the black-and-white illustrations, but there are often no activities for students to do the labeling. On the other hand, younger-level activities in the fifth category are generally fully developed lessons that often include labeling and coloring. Many of these are tagged for specific age groups such as K-2, 3-6 or grade 7+. Pages often have links to related resources immediately following the lesson material. For example, an insect studies page has a number of links. The first link is to a “lecture” which is actually additional printable, illustrated material explaining the parts of an insect, general information about insects, and metamorphosis. Another link takes you to an activity: Ant Inquiry – Read, Observe, Record. The next link takes you to a cut-and-paste activity for young students. An insect word search puzzle and answer key are found at another link. The next seven links are for testing and assessment. The final set of links for insects lead to two brief videos and their companion activity sheets. As you can see, there is quite a bit of material to work with on just the topic of insects, and this is the case for most topics. 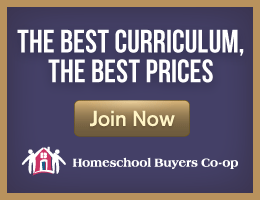 The Activities, Experiments, Online Games, Visual Aids category duplicates some resources that appear under their topical headings elsewhere, but it adds many more. Be sure to search here as well if you choose a topic from the other four categories. With all of this material, you can easily construct lessons on many topics, especially for children in about grades three through eight. You might also find activities to supplement other science resources you are using. Exploringnature.org is not intended to be a full curriculum. Rather, the intent is for teachers to use lessons and resources as needed. Exploringnature.org also has an entire category that has to do with the Next Generation Science Standards. 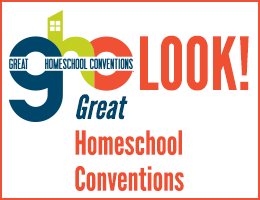 While some of the information there will probably be of most interest to classroom teachers, some homeschoolers might find useful resources there as well. For example, the section Lesson Links to Fulfill Standards lists each standard and then links to lessons within the site that might be used. This is a useful shortcut for putting together your own lessons using material on the site. It looks like almost every lesson or activity page on the site has an option to print it out in PDF format. The PDFs often have more content than is displayed on the website itself. Pages include many diagrams and illustrations. Drawings of plants and animals are very nicely done. Some of the artwork might be copied and pasted into student reports. Once students have signed on to the exploringnature.org site, there is no advertising. However, there is sometimes a link at the bottom of a page to a recommended resource. It appears that the recommended resources are all available through the website’s store. Those with older students might appreciate the box at the bottom of most pages that shows how to cite the page in a paper or report. The example citations can easily be copied and updated by students. While this is a subscription website, you can access a limited number of pages on the site for free. However, there will be advertisements and you won’t have access to the printable PDFs. Still, you can check it out to some extent before subscribing. Just remember that access to the PDFs and all of the lessons adds a great benefit to the subscription site.